Whether they are in preschool or high school, making friends will be an important life skill for our children to develop. We want to encourage our kids to be kind, trustworthy and wise. That’s how they will form friendships that will last. 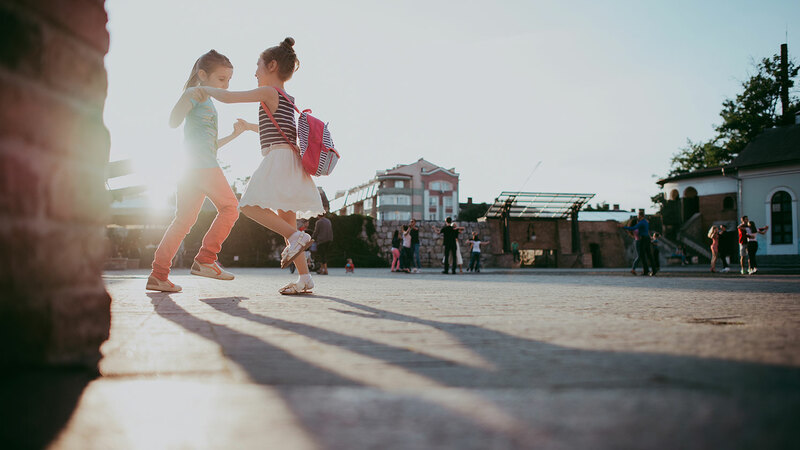 Here are 10 ways to help your children make good friends. What is one of the key ingredients for making and being a good friend? Loyalty is one of the main pillars on which any solid friendship is built. A loyal friend is there for support, no matter if it is difficult, inconvenient or unpopular. A true friend prioritizes relationships over reputation. They choose to love, not just when things are easy or fun. Proverbs 17:17 tell us that “a friend loves at all times.” That is how God loves each of us, and that is how He calls us to love others well. For more stories of loyal friends, read about Ruth: The Belle of Loyalty. As parents, we are our children’s greatest role models. It is important that we teach our kids what it means to trust at a young age. Trust is an essential component of forming rich relationships, including friendships that endure through life’s challenges. We can teach our young children to trust by simply and honestly answering the questions they have. When our kids are young, we respond to their needs quickly and have clear, simple rules to follow. As kids get older and have a better capacity for understanding, teach them about what it means to be worthy of trust. Being honest, reliable and a person of integrity are three important facets of trust. It is said that we are most influenced by our five closest friends. The people with whom we spend most of our time influence the choices we make. Kids will be influenced by their friends, and at times peer pressure can carry with it a lot of weight. When our children choose to surround themselves wise peers, peer pressure can be an extremely positive asset. We can pray now and continually that our children would attract wise friends through their own search for wisdom. They can be on the lookout for friends with strong character. Being a kind person is contagious, and it is free! Teaching your child to be kind to others is an easy way for them to make good friends. We can teach our children kindness in the way we treat them as well as how we interact with people throughout each day. Say good morning to a neighbor or compliment someone on her smile while you are in the checkout line at the grocery store. Being kind is magnetic, and it makes the giver and the receiver happy. Proverbs 3:3 reminds us to “never let loyalty and kindness get away from you! Wear them like a necklace; write them deep within your heart.” Being a kind friend is demonstrated through our words, actions and attitude. Joy is not only a fruit of the Spirit; it is also a characteristic of a good friendship. What makes you joyful? We want our kids to enjoy good friendships that bring laughter and joy into their lives. Smiling and having a positive attitude will attract positive friends. Laughing with a friend also reduces stress and strengthens the bond of friendship. WE WANT TO ENCOURAGE OUR KIDS TO BE KIND, TRUSTWORTHY, AND WISE. Have you ever been steam-rolled in a conversation where you were not able to get in a single word? Or, have you been around someone that only brags about his accomplishments and how great he is? These types of people have not acquired the fine art of listening and, to be honest, they can be unpleasant to be around. Listening is crucial. We need to teach our children at a young age to listen to their friends and not monopolize the conversation. Children have a tendency to interrupt others so it is a good idea to curtail this behavior before they become interrupting adults. What are the characteristics of a good listener? Make eye contact, pay attention, don’t interrupt and nod and smile at appropriate times. “As iron sharpens iron, a friend sharpens a friend.” (Proverbs 27:17). In looking for ways to help our kids make good friends, we can teach them about respect as it relates to friendships that withstand the normal challenges that can arise. Respect in friendship means valuing a friend’s decisions and taking their feelings seriously. For example, a friend may like a different kind of music or a different style of clothes. We can teach our children to recognize and highly value that God made all of us different and unique. That is what makes the world such a beautiful and interesting place to live. It would certainly be boring if we were all alike! Have you ever done something wrong and been let off the hook for it? Maybe you were pulled over for speeding and the police officer let you go with just a warning? Or maybe you said something you regret to someone and the person forgave you and didn’t make a big deal out of it. God showed us tremendous grace when He sent us His Son to die for our sins, even before we accepted Him as Savior. He wants us to extend this kind of grace to others in our lives, as an example of His love for us. Grace is where we can all find common ground. In order to find good friends, children need to learn to be a good friend. As parents, we have a wonderful opportunity to model for them what a loving, committed friendship looks like. If a friend is sick and you are making a meal for her, explain to your child why you are making the meal. If a friend is sad, call him or make a visit to cheer him up and pray together. Explain to your child the importance of your actions in being a good friend. We want our kids to choose good friends and this guide provides a comprehensive checklist to help answer the question -- What makes a good friend? 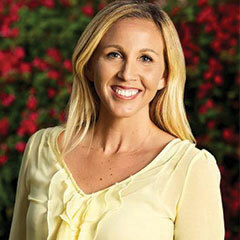 Co-founder and Creator of Bible Belles, Erin Weidemann is a nationally recognized speaker and professional writer. Author of The Adventures of Rooney Cruz, Erin also hosts the award-winning Heroes For Her podcast, interviewing positive female role models who are working hard, loving others, and inspiring the next generation of girls to serve their unique purpose. A former college athlete, Erin is also a five-time cancer survivor. She lives in Encinitas, California with her husband, Brent, and their daughter, Rooney.